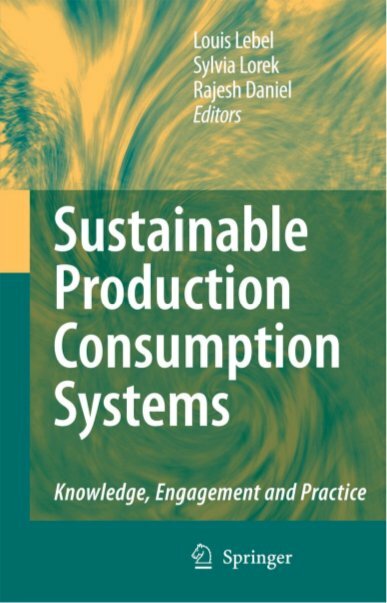 There are two key reasons for framing the challenge of sustainability as one of “production-consumption” systems rather than the more conventional focus on production technologies and regulation. The first is the need to bring attention to the processes closer to the decisions and actions of final consumer when undertaking analyses of the underlying reasons for environmental impacts at remote, more primary, “production”, parts of commodity chains. The second is that a commodity chain itself can be thought of a series or network of many production-consumption relationships. For each linkage we can ask questions from both a production perspective (how could this industrial process be made more resource efficient? ), and, in addition, a consumption perspective (What are the underlying drivers of downstream demands in the network or value chain?). Consumption and production perspectives are complimentary but not alternatives. SPACES (Sustainable Production and Consumption Systems) focused on treating commodity chains, from inputs, through distribution to consumption and disposal, as integrated production and consumption systems. 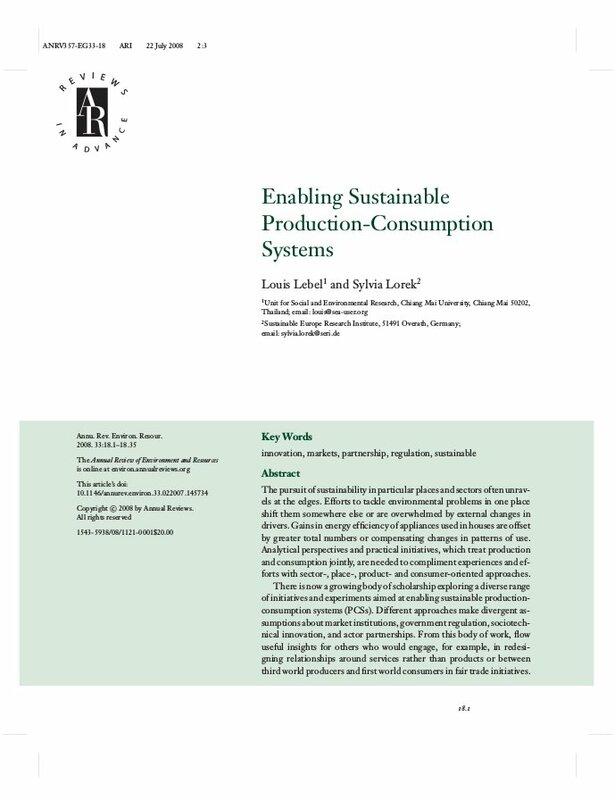 The explicit goal was to create an improved conceptual framework and agenda for actionable research on the sustainability of production-consumption systems that increasingly stretch across disparate parts of the globe. The research identified points of leverage for improving sustainability looking well beyond immediate production stages including as well the issues of consumption and the creation of demand and wants. In a collaborative assessment activities were carried out through an international working group mixed with researchers from developed countries, developing countries and such in transition. The group carefully looked at knowledge and action linkages and tried to identify where actions towards sustainability are possible now, and where, additional research-based knowledge is needed. The project developed the following recommendations for closing the knowledge-action gap. Lifestyle: reframe restraint as opportunity not sacrifice; give feedback on performance. Tourism: Dialoge to ensure inclusion of all stakeholders to negotiate more appropirate developments and practices. Sylvia Lorek co-chaired the project organises a project meeting and contributed to various articles in the resulting book and beyond.